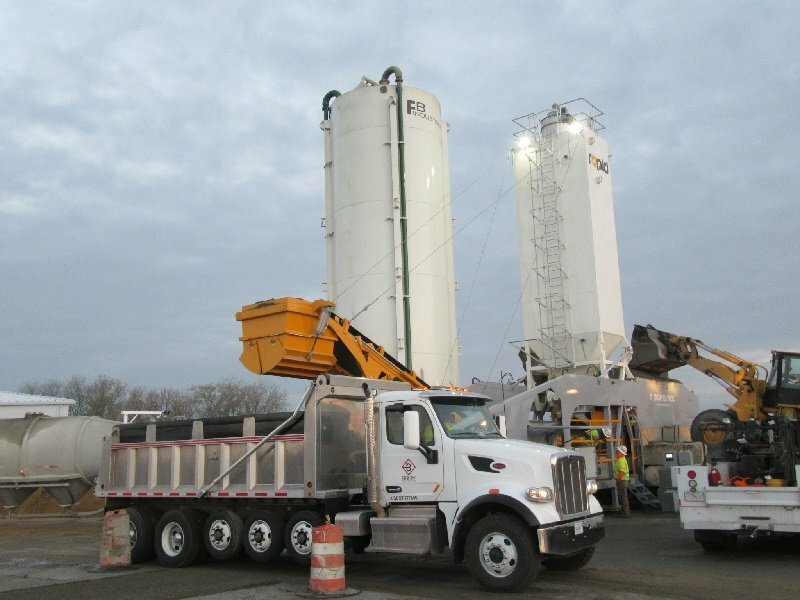 New Rapidmix Mobile Continuous Concrete Mixing Plant Opens Up a World of Project Opportunities for Andale Construction. Tandragee, County Armagh, 23 July 2017 – In conjunction with its US sales partner, Rapid International USA, Inc, Rapid has recently supplied a Rapidmix 400CW mobile continuous concrete mixing plant to Andale Construction of Wichita, Kansas, USA. The Rapidmix 400CW has just completed the North Gate Improvement project, at the Port of Virginia’s Norfolk International Terminals in Hampton, Virginia. Andale’s Rapidmix is shortly due to commence a second infrastructure project for the NCDOT (North Carolina Department of Transportation). 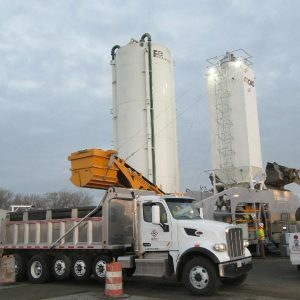 Andale initially chose to rent the Rapidmix mobile continuous concrete mixing plant from Rapid International USA, Inc. for the purposes of production of RCC (roller compacted concrete) to complete the North Gate Improvement project at the Port of Virginia – a critical infrastructure project that aimed to improve throughput of trucks at NIT. The now successfully completed North Gate provides 26 lanes of ingress and egress to the terminal’s North Berth – more than doubling the gate capacity at NIT. As a result of the great success Andale achieved with the Rapidmix on this project, the company made the decision to purchase the Rapidmix, as the machines high output capabilities and mobile ability would enable the company to target larger schemes and projects throughout the Wichita area and beyond. Fully mobile and self-contained, the Rapidmix 400CW mobile continuous concrete mixing plant offers a complete plant powered by its own power source, with on-board compressor and generator. Fitted with a self-erecting system, using hydraulics, the plant can change from travel mode to fully operational within a few hours. Available with outputs of up to 600 tonnes per hour, the Rapidmix provides feed rates that are fully adjustable for the aggregate, cement and water systems.